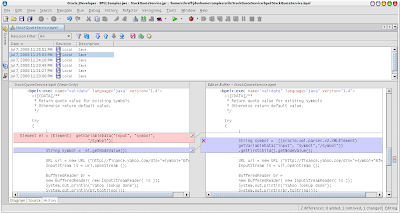 and so both BPEL projects are deployed with one ant run. 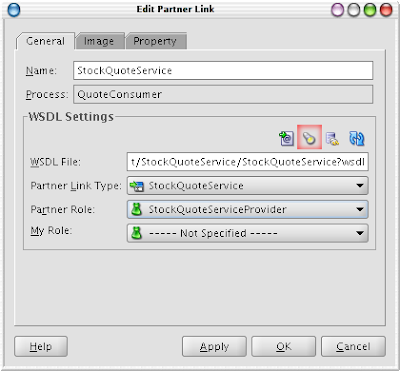 To add a PartnerLink to a BPEL project follow this documentation. For more information about PartnerLinks look at this link. 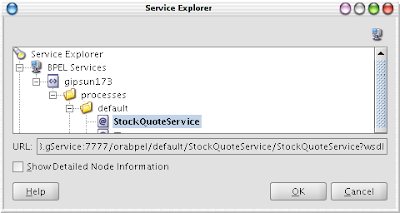 If you want to change the PartnerLink to another BPEL click on the torch (red square) and you will get back to the service explorer. One good thing of synchronous invocations: You need no correlation sets and it is very easy, but if the called instance needs more than 45s, you will get an ORABPEL-05002 error. You can learn avoiding it on my posting two months ago.